The screenshot above is hosted and provided by newsbin.com. Please contact them directly for any copyright infringement as we are not responsible for that content. Newsbin is a multithreaded news robot that automatically downloads and decodes binary posts to usenet newsgroups. Newsbin will take full advantage of high bandwidth internet connections by allowing multiple simultaneous connections to your news server or servers with or without SSL or TLS. It re-assembles multi-part posts across multiple servers and includes an integrated thumbnail viewer when downloading images. The AutoPAR function automatically processes RAR files including correcting/replacing damaged or missing files in a set when PAR2 files are available. Newsbin features advanced newsgroup organization and configuration options, special NZB processing modes, and automatic download mode, and Multiple CPU/Core support to take advantage of high end systems. Newsbin supports regular expression parsing for complex filtering capabilities based on subjects or filenames and provides file size filtering and limits on crossposting. 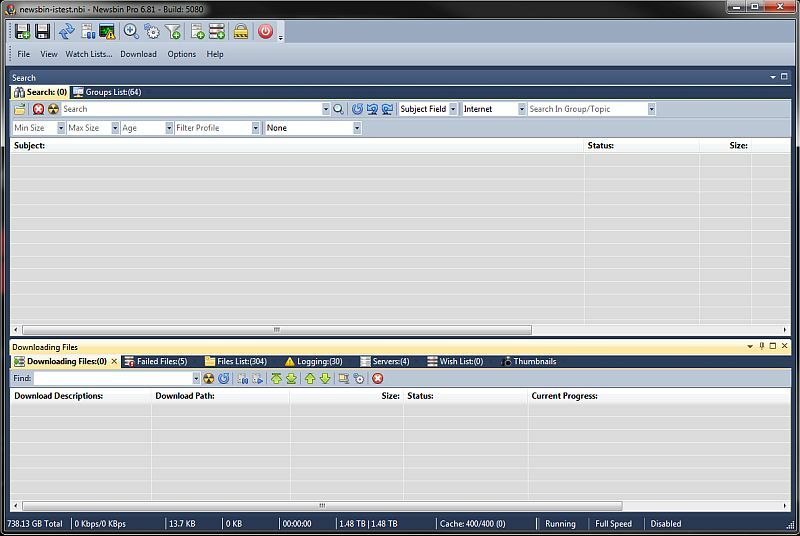 Also includes an optional Usenet search service integrated in the program.